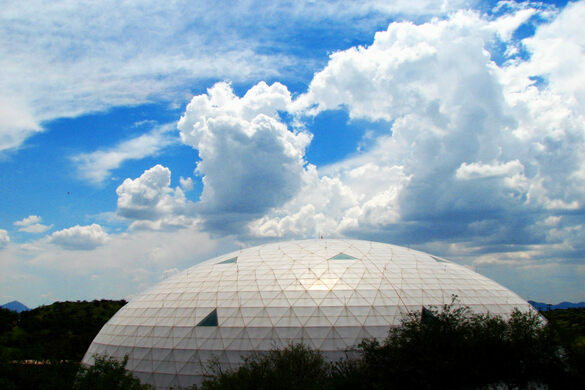 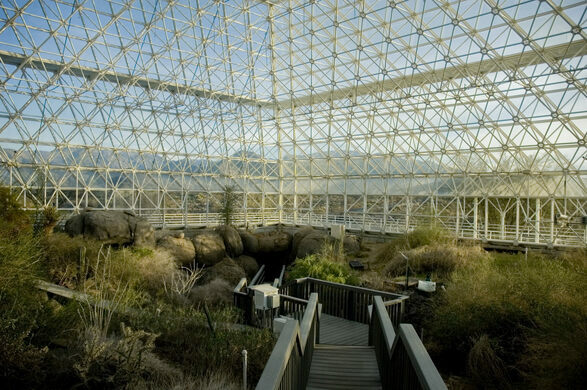 With dreams of colonizing Mars, Ed Bass, a multi-millionaire Texas oilman, funded the building of Biosphere 2 in the middle of the Arizona desert. 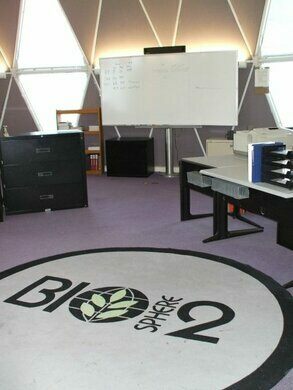 (Planet Earth is Biosphere 1.) 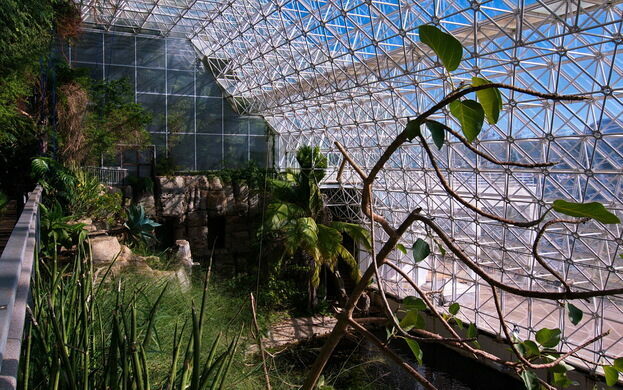 The 3.15-acre sealed glass house is a dazzling attempt to completely recreate the conditions and environment of Earth including a rain forest, desert, marsh, and an mini-ocean. 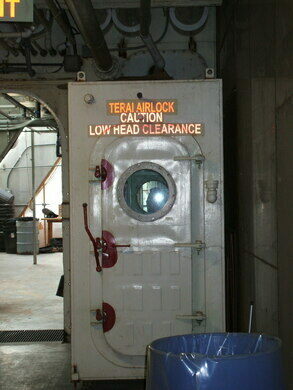 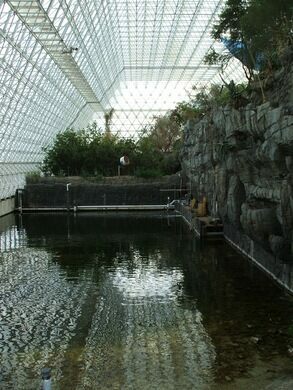 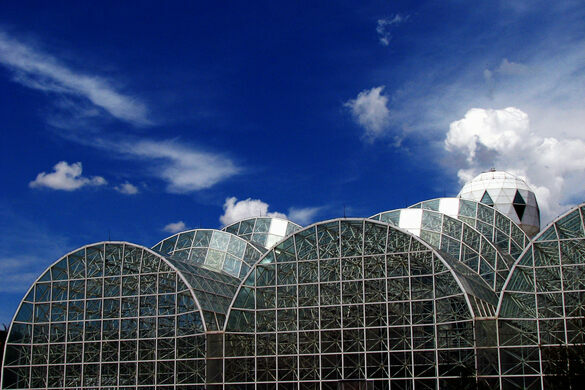 In September 1991, seven crew members walked into Biosphere 2, which was sealed behind them. 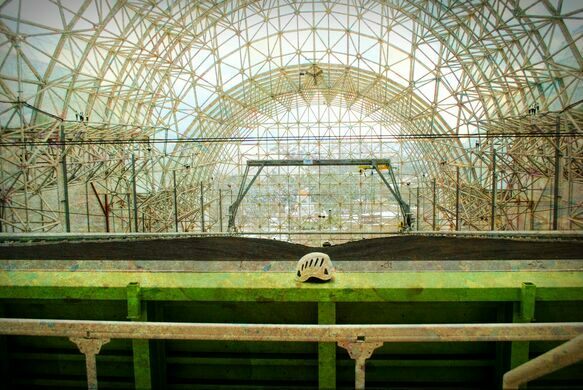 They were charged with the task of growing their own food and conducting environmental experiments while sealed for two years inside the complex. 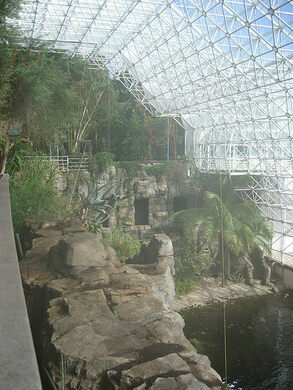 The crew stayed in Biosphere 2 for the full two years, but when they emerged, their experiment was largely dismissed as a scientific failure. 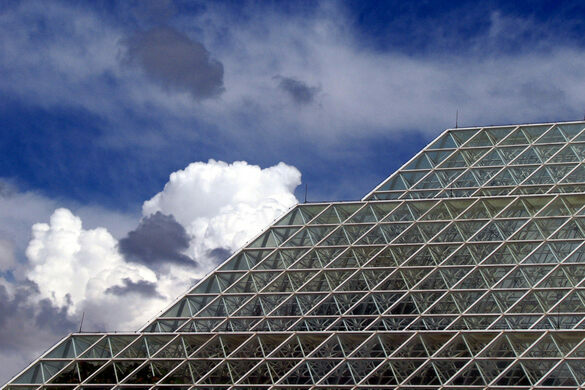 It was, from a monetary perspective, a total disaster. 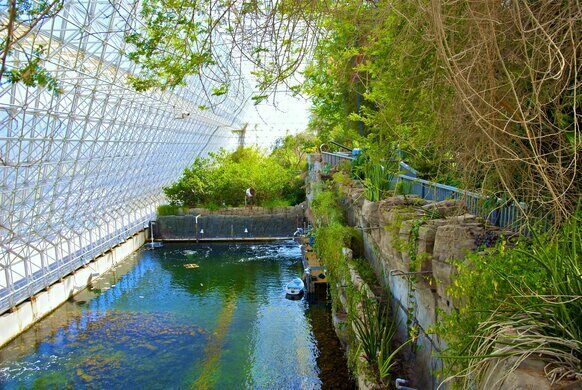 Despite this discouraging news, a second crew entered in April of 1994 and exited prematurely in September of the same year as the management of Biosphere 2 dissolved. 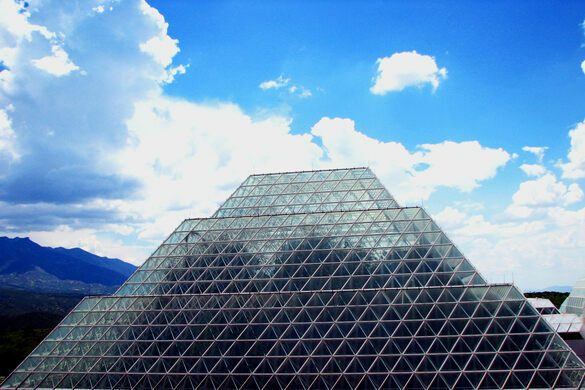 Both the high idealism of its founding and the ignominy of its abandonment call to mind the Garden of Eden. 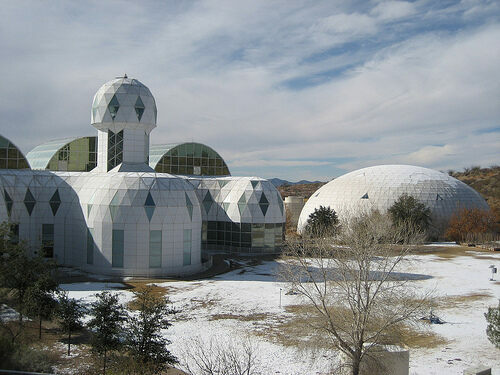 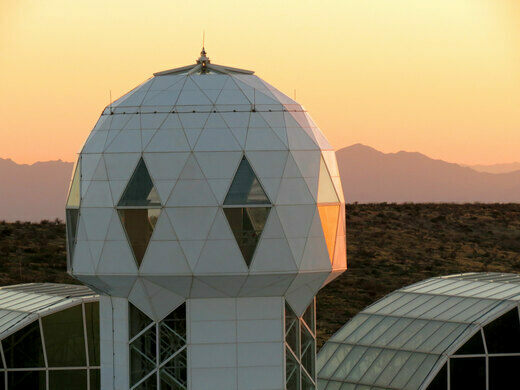 Unused for many years, the facility was bought by the University of Arizona in 2007 and is now the home of many university experiments and educational programs. 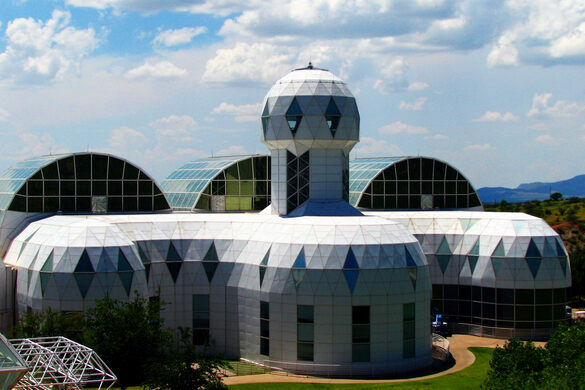 Visitors can now take a tour of the now non-sealed biosphere and learn about the over 3,500 exotic species growing in the dome, as well as the experiments currently taking place in it - none of which involve living inside the dome.